A. Yes! 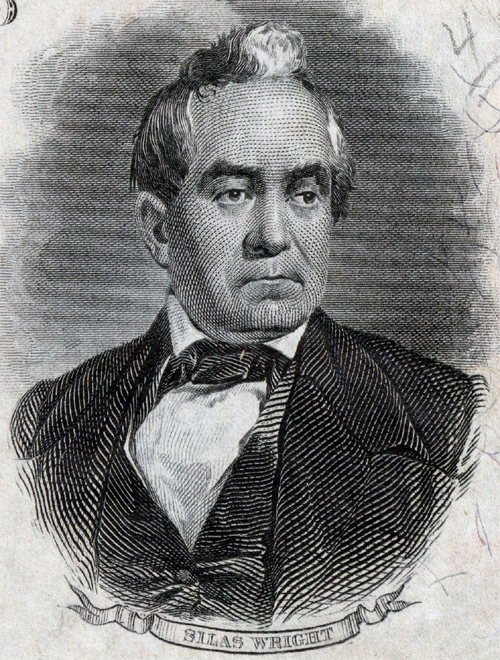 In 1844, from the National Democratic Convention at the Odd Fellows’ Hall in Baltimore, New York Senator Silas Wright was selected by the delegates to run as Vice President with Democratic Presidential nominee James K. Polk. Since Wright was not in attendance at the convention, the delegates marched up to the office of Samuel Morse and his associates, where they were putting the finishing touches on their new electromagnetic telegraph. The nomination of the possible next Vice President of the United States seemed an appropriately momentous occasion to test Mr. Morse & company’s new invention. Off went the message, by wire, to Washington D.C.
Wright was a close friend of former President and Vice President Martin Van Buren, who had just been denied the Dems’ nomination for the head of the ticket. The loyal Wright had the operator telegraph his response back to the convention. That simply couldn’t be, they thought. The machine must be malfunctioning. They asked again, by telegraph–and were again denied, by telegraph. Only after they sent a delegation to Wright in D.C. did they get to the bottom of the confusion, and determined that there was no confusion: Wright had no intention of stepping over the body of his friend Van Buren into the race for the Executive Branch. Dispirited and more than a little inebriated from the exhausting whipsaw of events, the delegates selected former Philadelphia Mayor George Mifflin Dallas to run with Polk, and arrived on his porch in a drunken posse in the dead of morning to excitedly tell the befuddled, nightshirt-clad Dallas that he would be running on the national ticket for Vice President.